Ann asked us to share simple comfort food this week, so here is mine. Saute sliced garlic in a little oil and butter. 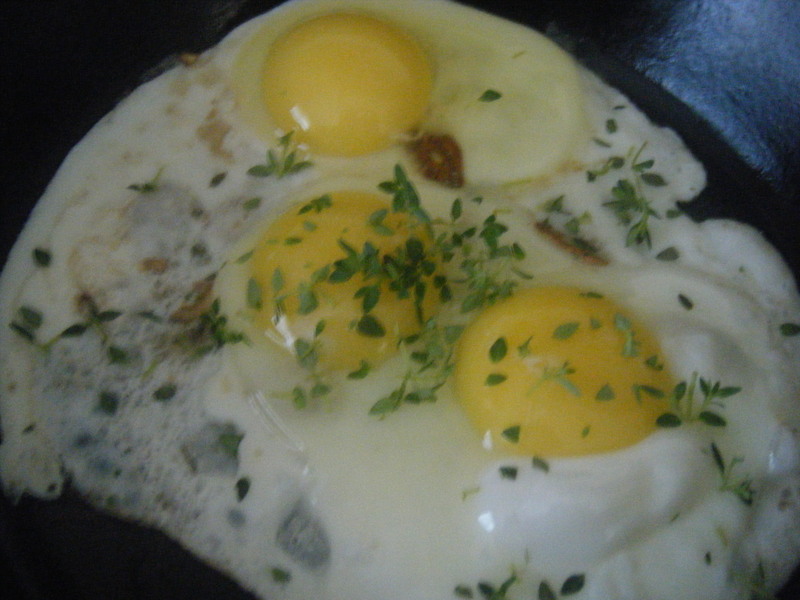 When garlic is golden add a couple of eggs and thyme. Todd created this simple recipe and prefers to finely chop his garlic clove.